There are many types of Closed Circuit Television or CCTV video software. 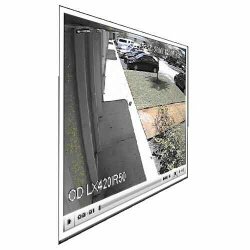 Although the term "CCTV video software" doesn't actually refer to any specific type of digital video security and surveillance software, we'll take a look at a few of different examples and see what they can do. There are many types of Closed Circuit Television or CCTV video software. 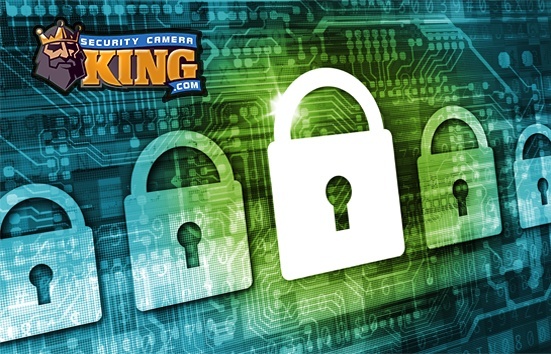 Although the term “CCTV video software” doesn’t actually refer to any specific type of digital video security and surveillance software, we’ll take a look at a few of different examples and see what they can do. For the purpose of our discussion here, we’ll try to classify CCTV video software into two different categories. The first will include software that enables personal computers and accompanying peripheral devices (such as web cams) to act as a digital video security systems. The second category will include software that is used for different functions on digital video security systems, (such as track or follow). Since video security and surveillance systems have become totally digital, there is a lot of crossover with the computer world. The digital video security community has been able to reap the benefits of the exponentially increasing technology improvements in the computer world, and can even adapt personal computers to act as digital video security systems using the right components and Closed Circuit Television or CCTV video software. While using a personal computer is enticing, there are certain limitations that still exist if this is done. Generally, digital video processing is one of the most taxing tasks for computer processors to perform because of the incredibly large amounts of data involved with creating high-quality digital video files. Therefore, the Central Processing Unit or CPU of a personal computer can slow down tremendously while trying to operate digital video security camera functions and perform other routine computer tasks. Nevertheless, there are CCTV video software programs that will adapt a personal computer and one or more webcams to act as digital security video systems. A more popular method of using CCTV video software on a personal computer is the use of a PCI card and actual cameras designed for digital video security systems. This method allows the use of typical digital video security cameras with a personal computer, but reducing the processing load on the computer’s CPU drastically so as (hopefully) not to affect its performance considerably. The PCI card often contains the Integrated Chip (IC) technology that provides for a Digital Signal Processor or DSP that pre-processes the data sent by the digital video cameras. Many PCI systems also contain a storage disk on the PCI card to alleviate the need for using the personal computer’s hard disk drive. For these systems, CCTV video software provides for the drivers needed for the PCI card and other peripheral devices and instead of handing the CPU all of the work, it utilizes it more to coordinate the work between the computer and the PCI card. Another facet of CCTV video software design and also one of the most recent includes software that allows digital video cameras and entire digital video systems to use the Internet as a vehicle for networking and accessing. The devices that are used specifically for this purpose in digital video security systems are usually referred to as IP ready or Internet Protocol ready devices. Although the CCTV video software that makes IP devices possible may not necessarily be installed on a personal computer per se, it does often accompany the device, either in the form of built in programming, circuitry or as Internet browser “add-on.” As for IP ready cameras, the CCTV video software provides web server technology so that the camera may connect directly to the Internet. Using a personal computer with a Web browser and an “Ad-on” program, an individual can monitor, control, and record the camera’s video images to a personal computer by using the Internet as the vehicle for networking. The second category of CCTV video software is programming that is used to control the camera, DVR, and other devices. This software usually resides on the DVR unit and works with the units DSP to control and coordinate the individual devices. For example, Pan-Tilt-Zoom or PTZ cameras can move horizontally, vertically, and enlarge views. The mechanical movements for these cameras are usually controlled by software that resides on the DVR unit. Not only can PTZ cameras make those mechanical movements and manipulations remotely using software, but they can also be done automatically using special CCTV Video Software. Furthermore, the software can be used to detect objects moving, and direct the PTZ functions of the camera to track or follow the object’s movements. It would appear that the potential for CCTV video software is limitless, especially now that we live in the digital age.